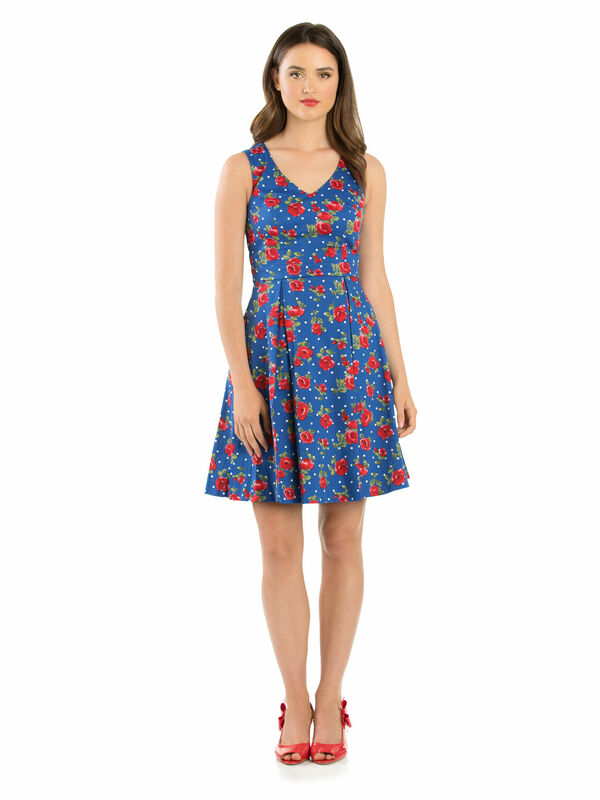 Lovers Dream Dress https://www.review-australia.com/au/lovers-dream-dress-cobalt/RE19DR375.REBLU103.html Perfectly prepped for the summer season, this Lovers Dream Dress takes pretty florals and creates a modern look. 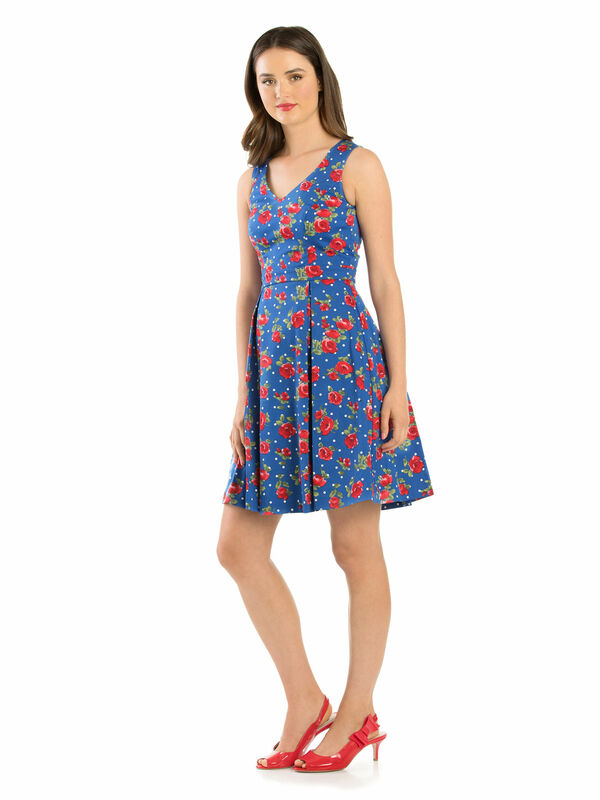 The sleeveless design also boasts a low v-shaped neck and a flared skirt with pleats. Perfect for the coming season, but will undoubtedly be worn again and again. Lovers Dream Dress is rated 4.7 out of 5 by 32. Rated 5 out of 5 by A Review Girl from Beautiful Fabric & colour This is 1 of my favourite I’ve only had it 2 weeks & already worn it several times it’s light weight slips on over my head I love the fact when choosing my size Review clothing its 99% of the time very constistent with it’s sizing that it makes ordering online simple & also if the dresses fabric has a bit off stretch well then I can just slip them on over my without having to undo zip, I copied the look from Reviews Instagram page & wore my dress with a review denim jacket I bought a few months back & white sneakers & also worn it with red kitty heels & the JOSEPHINE CARDI in white . Rated 4 out of 5 by Krissy19 from Beautifull fabric and pattern I brought this dress on-line as I do not live close to a Review Shop. I was hesitant ordering on-line again as I have had a few issues with Review dresses not being true to size lately. I ordered a size 8 which is my usual size and this dress fitted perfectly. The fabric is excellent and the pattern beautiful. The dress has no belt but this is not a problem as I will use one of my red Review belts that I already own. I only reason I did not give the dress five stars was the lining is not cotton and there are no pockets. Rated 5 out of 5 by Hankam12 from Beautiful Dress ♡ Another beautiful review dress. Well made, well fitted. Rated 5 out of 5 by Ash13714 from An easy dress to wear This dress is so easy to wear and always looks perfect! 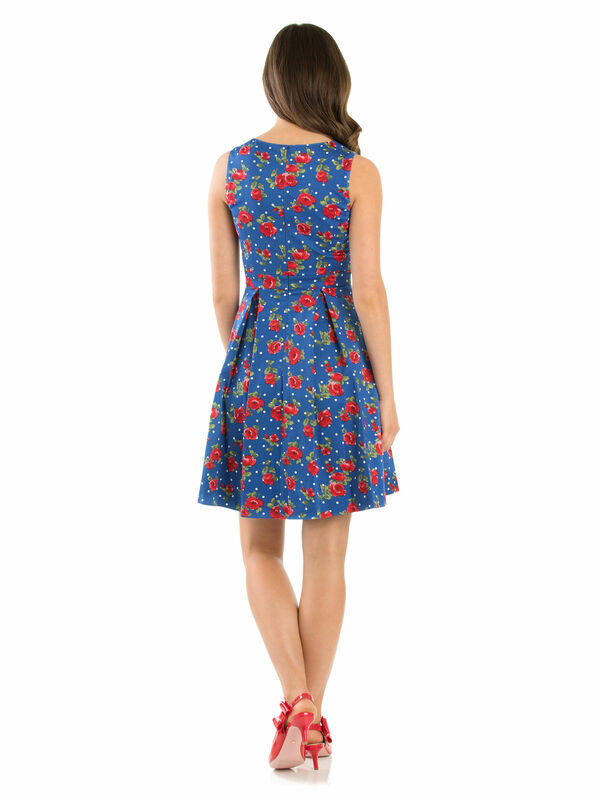 You can dress it up with heels or it looks super cute with a denim jacket and flats. It’s very flattering and I love the length of this dress. If you find some of Review’s dresses and skirts too long, this dress is definitely worth trying on. This dress makes me feel so special when I’m wearing it! Rated 5 out of 5 by annaeckersley from Colours Everywhere! I love colour however, for some reason I have always stuck with or as close to black or dark colours as I could. I bought this dress a start to pushing those barrier for me. I am so glad I did. Every time I wear this dress I feel beautiful and refined, I never stop receiving compliments and think I will keep trying the colours in my next purchase. Rated 5 out of 5 by MegsReviewReview from Unexpected delight I had zero interest in this dress when it first came out. Didn't even look twice at it. But then I saw a #reviewgirl wearing it and it got my attention. 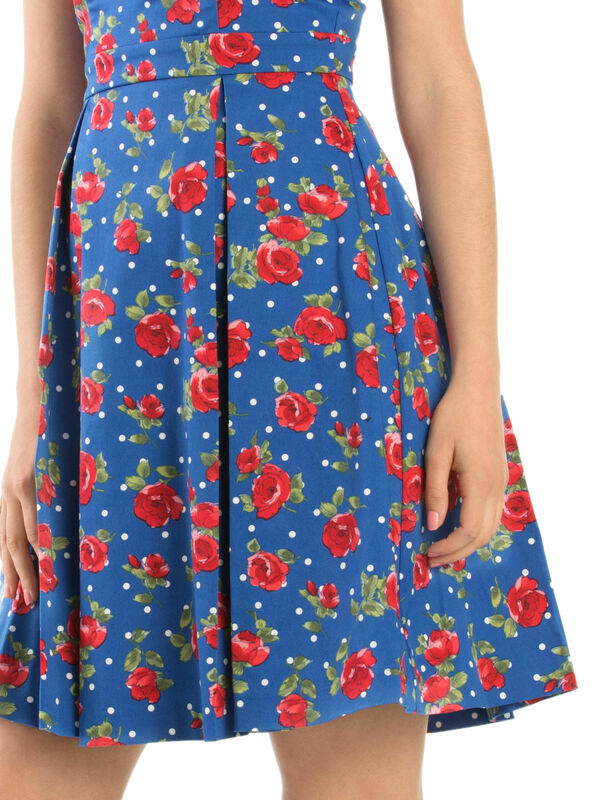 I'm so glad I bought it, it is truly beautiful and a versatile dress. I wore it to work and was comfortable all day. The print and colour is gorgeous. Very happy I had a second look! Rated 5 out of 5 by Katja from Beautiful colours I was a bit nervous ordering this dress online as it is not available in NZ. But when it arrived today I was so happy . The colours are so intense and the fabric is nice and light. I also like the neckline and the fact this dress is a bit shorter than some others. Will be styling it with Martha sneakers and Carmello jacket.